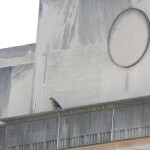 After all the back and forth between our Peregrines and the Kestrels, that appear to be nesting near the Powers Bldg, I decided to get out early this morning. I arrived on the Court St Bridge at about 6:00 am this morning. Dan was already there (of course! lol). Larry and Zaph soon joined us. 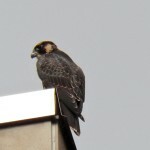 Dan told us that he had seen all 6 Rochester Falcons before we arrived. That was great news!. 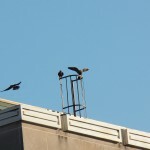 We all settled down to watch all 4 juvies flying around the jail communication tower. Beauty was there, higher up on the tower and Dot.ca (DC) was on the Time Warner communication tower, which is south of where we were watching from. Both DC and Beauty were in hunt mode, over Cornhill. 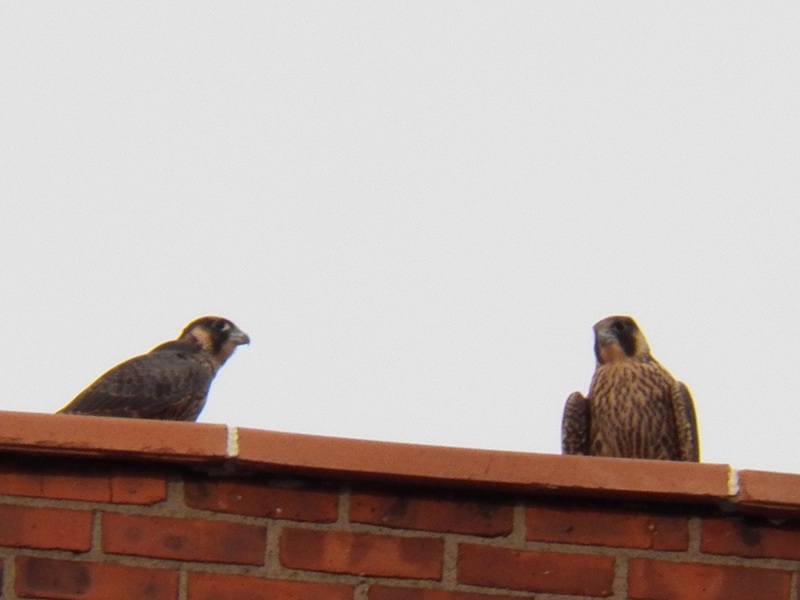 We figured that one of them was successful when two of the juvies flew out to greet them. 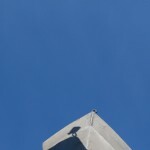 It was Beauty and she was carrying a pigeon back towards the jail communication tower. 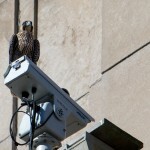 We were thrilled to see her do a food transfer over the jail. 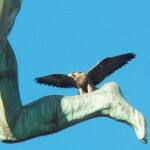 The juvie who received her offering flew towards the Times Square Bldg. 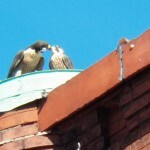 Two other juvies joined it on the Widow’s Walk. Dan and Larry had to leave, so Zaph and I headed over to Aqueduct St (aka the hole). 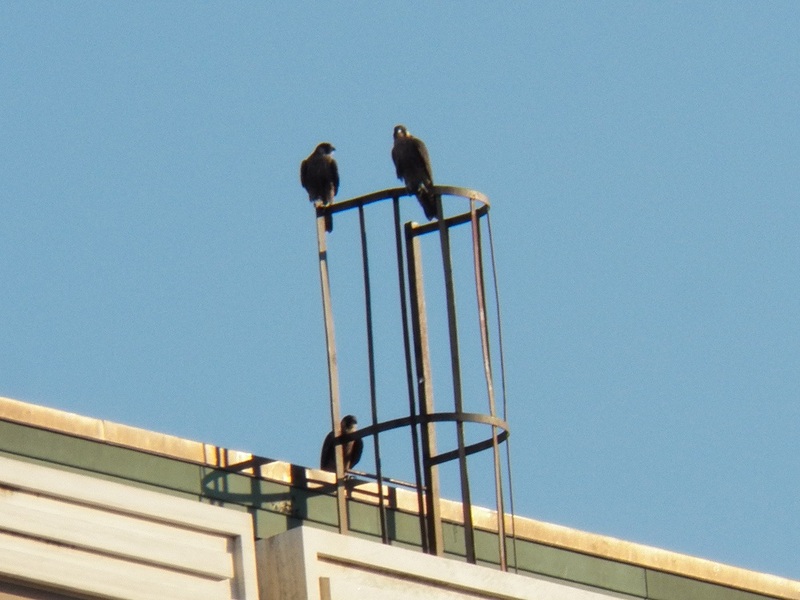 The three juvies were still on the Widows Walk. 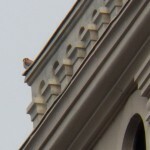 We could hear the Kestrel vocalizing over at the Powers Bldg. 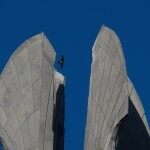 Yep, there it was on the SW corner of the railing. Beauty flew in and landed on Mercury’s foot. 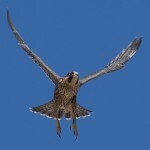 The Kestrel flew in heading towards Beauty. Off they went! 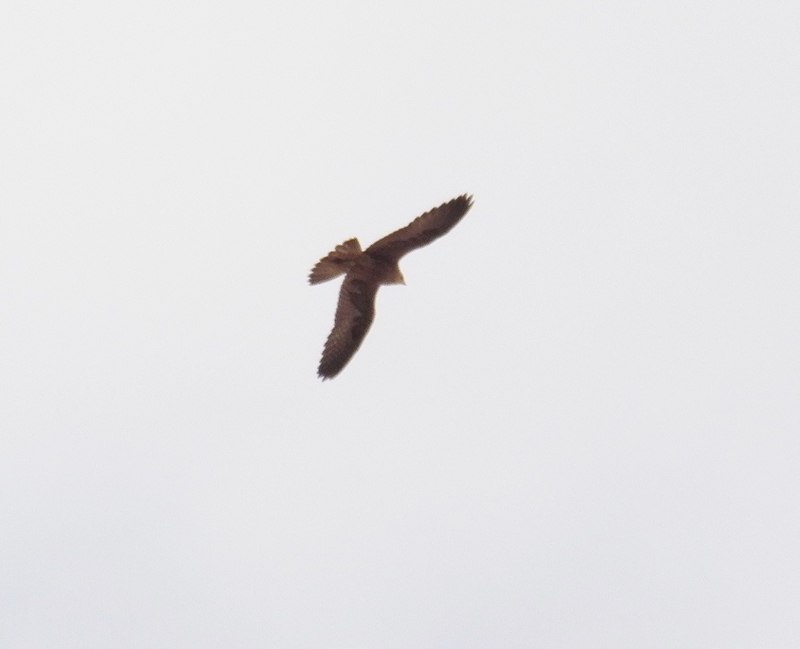 This time, the Kestrel was chasing Beauty out over the river. 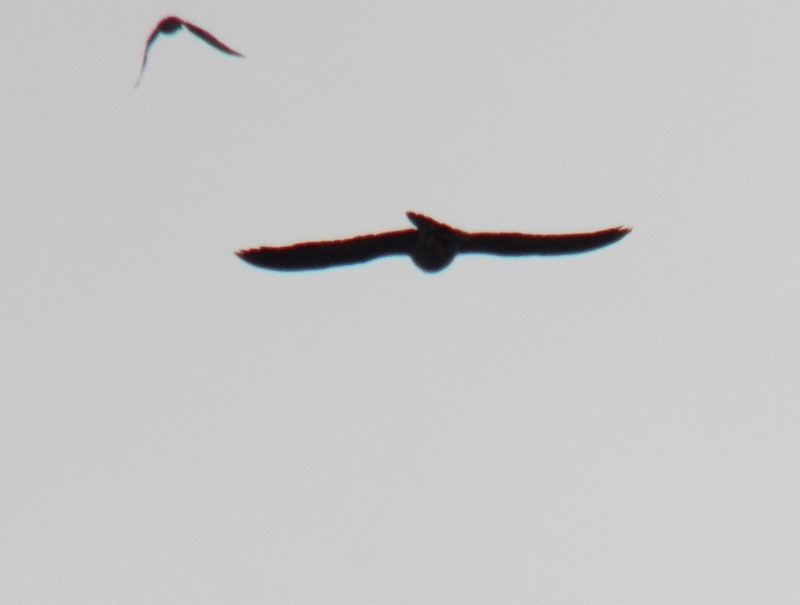 She turned back and the Kestrel headed back towards Powers. 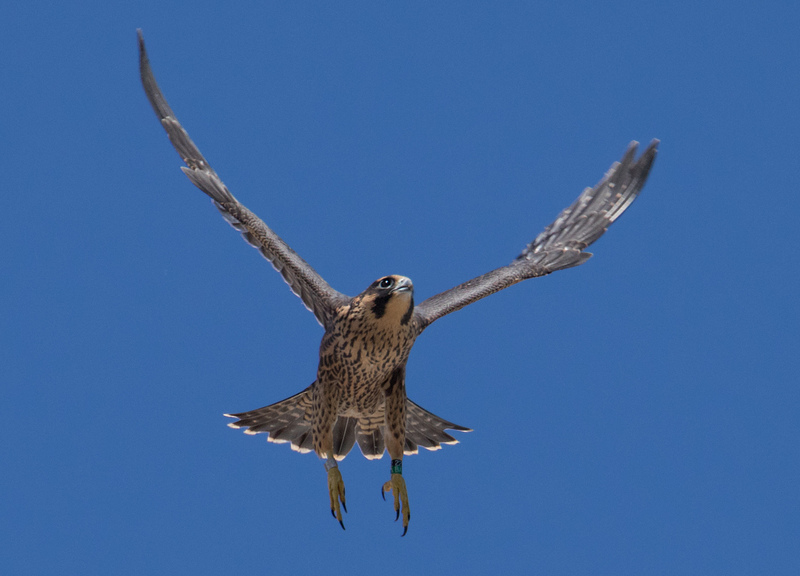 To give you a better idea of size difference of a Kestrel vs a Peregrine, here is a picture of the Kestrel chasing Beauty. They are small in comparison, but oh, so feisty! In the meantime, the juvies decided it was time to play. 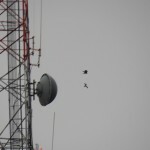 They flew over us, one landing on the TR bldg and one landed on the Philippone Bldg. I was unable to ID either juvie. Beauty came in and landed on the Wilder ladder. Zaph and I returned to our chairs to relax for a bit. 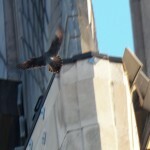 That’s when we saw a falcon fly low, to the street in front of the Times Square Bldg (TSB). That wasn’t good! We headed towards the TSB and saw what the problem was. There was a dead pigeon on the sidewalk in front of the TSB. 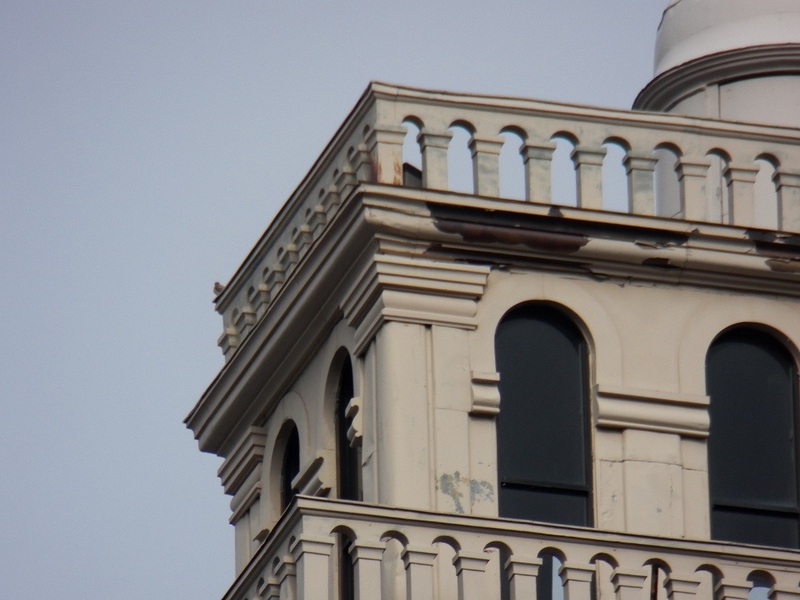 Beauty had landed on the corner of the Philippone bldg above it, one juvie was on the Wilder bldg and 2 were visible on Widows Walk. 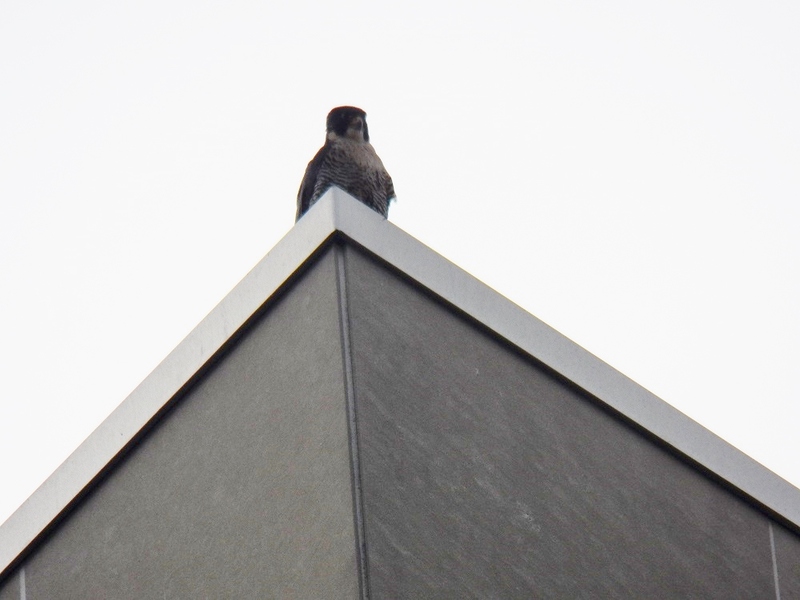 We figured that the meal that the juvies were eating this morning, somehow made it to the sidewalk, dropped by one of the falcons. Beauty had tried to retrieve it. 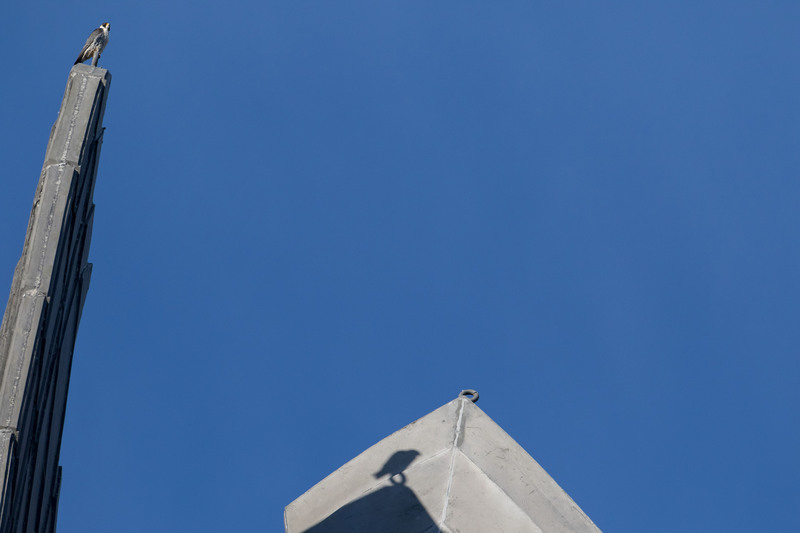 We took care of moving the pigeon somewhere safe. Away from the street where one of them could have been injured. Crisis averted! At a little after 9:00 am, we ended our watch. I hope to get back out later today. 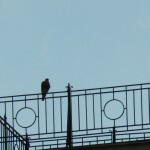 Because of being so busy with the fledge watch, I haven’t had much time to look at my pictures. 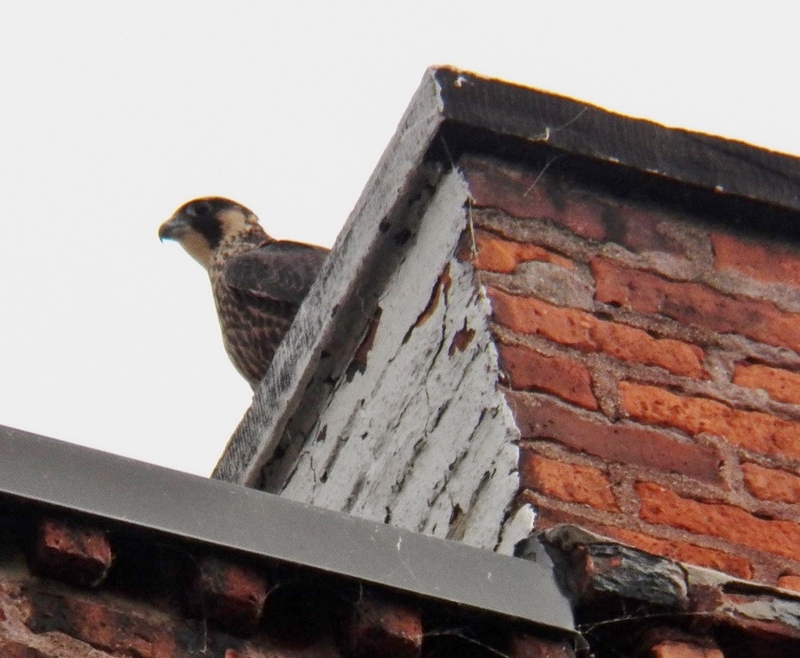 I’ve picked out a few to give you all an idea of what the Rochester Falcon Watchers have been seeing over the past couple weeks. Enjoy! Another very warm day in the 90s! Thankfully we’ll have cooler temps in the 70s tomorrow. This evening’s watchers gathered on Aqueduct St, aka the hole. Lisa McK, Carla, Joyce, Jeanne, Larry O and me, Carol P.
All 4 juvies stayed close to the Times Square bldg during our watch. 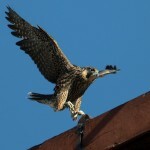 At first Aria and Matilda were at the nest box and Leo & Lilac were on the Widow’s Walk. DC dropped off food at the nest box and Matilda got it. Aria took off. 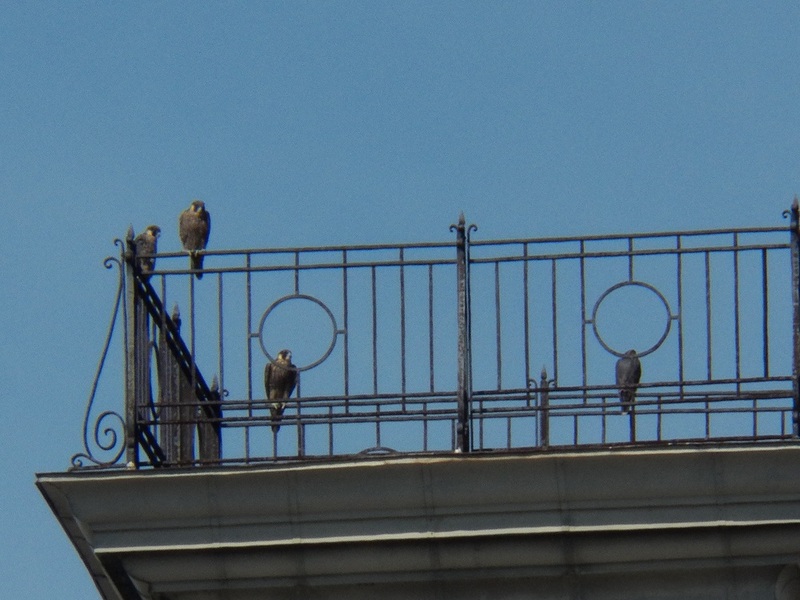 Eventually all 4 juvies ended up on Widow’s Walk. 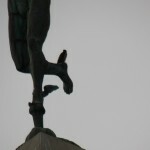 Dot.ca was on top of Mercury and Beauty was on the Powers bldg. 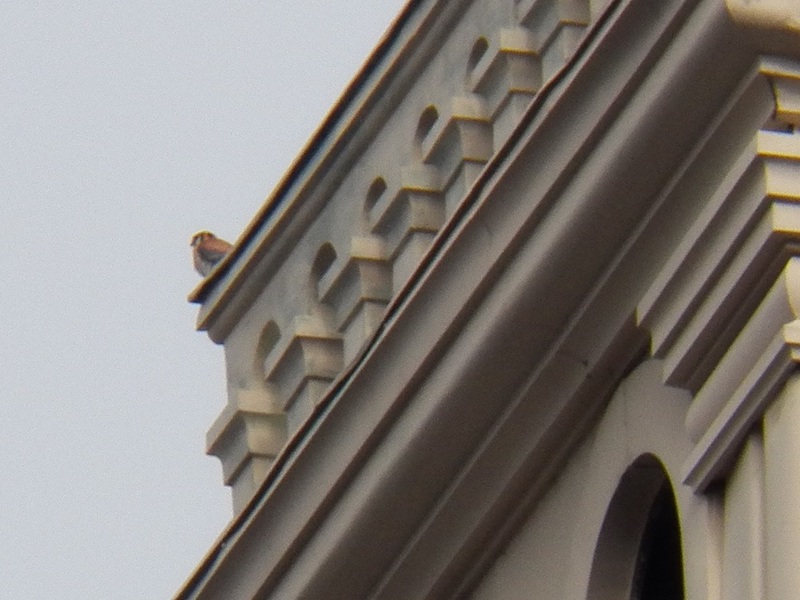 That’s when we started to hear the very distinctive vocalization of the American Kestrel! 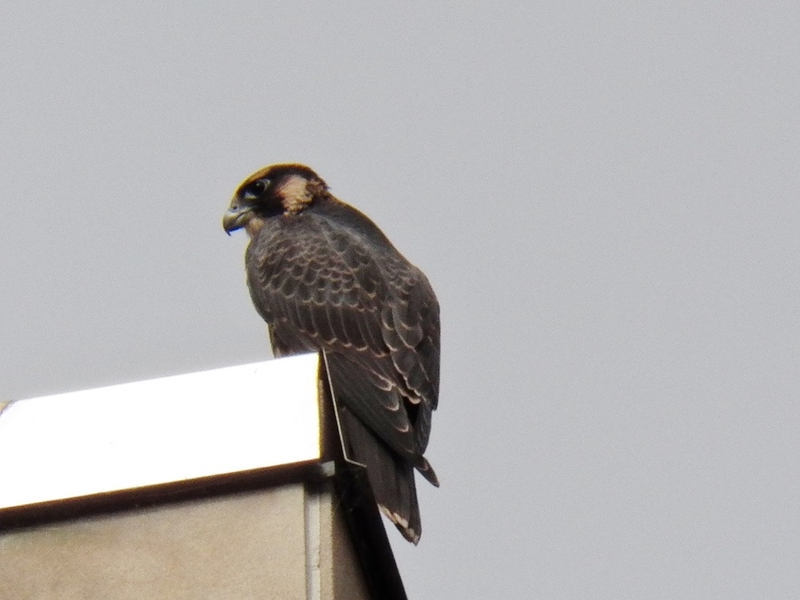 The smaller cousin of the Peregrine Falcon. 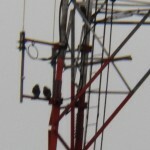 I had been seeing kestrels on and near the Frontier Communication Tower and suspected that they might be nesting nearby. 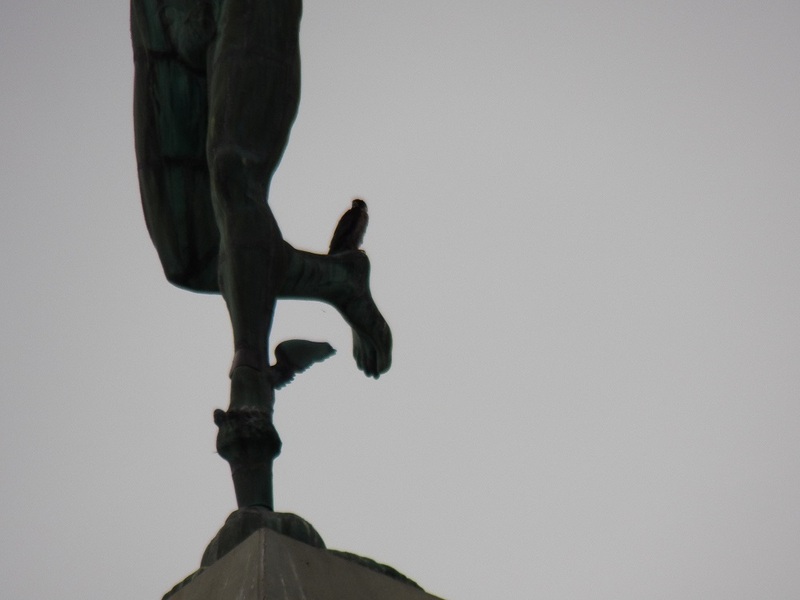 We could see that a Kestrel was diving on Beauty at the Powers bldg. 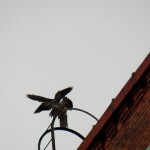 At the same time another Kestrel was swooping on Dot.ca who was on Mercury. 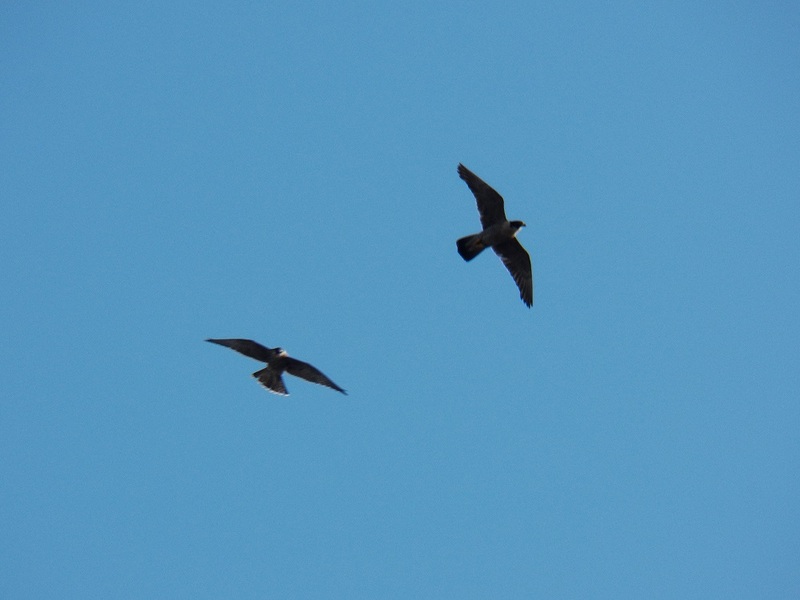 DC took off and chased the Kestrel over the river. 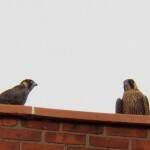 There was a lot of back and forth between the Peregrines and Kestrels. 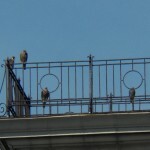 The four juvies watched from Widow’s Walk. Finally all was quiet. 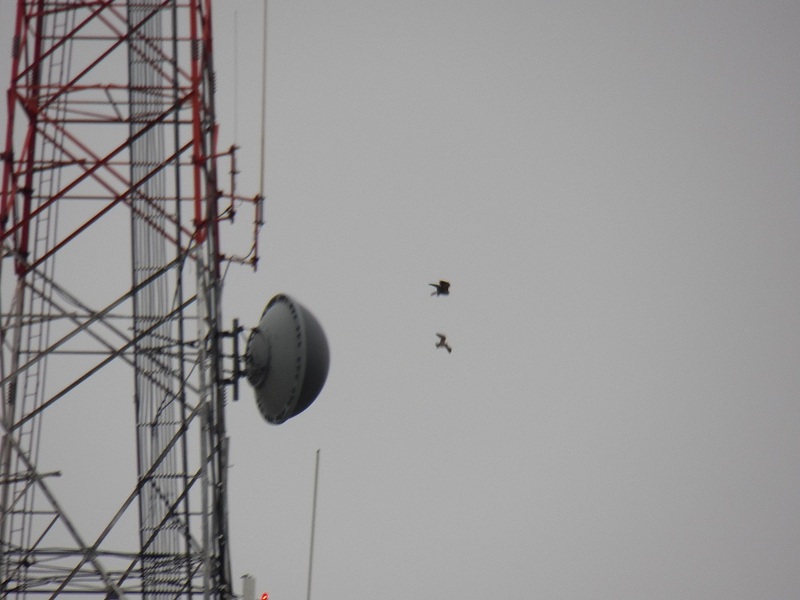 Beauty flew out to the Jail Comm Tower. Dot.ca was on the Times Square bldg under the NW Wing. 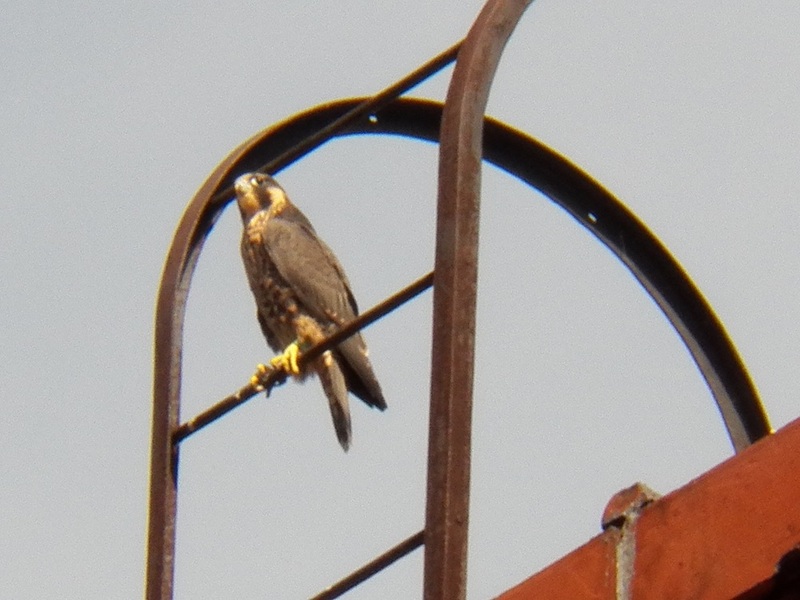 One by one the juvies left the Widow’s Walk and flew south towards Beauty. 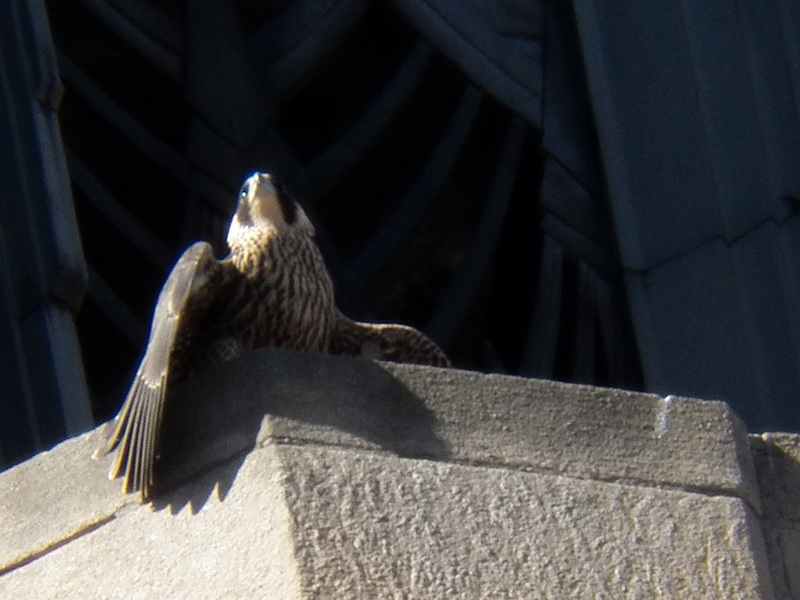 For those of us that watched Mariah and Kaver nesting on the Kodak Tower, we were used to the interaction between nesting Peregrines and Kestrels. 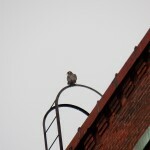 Every year, Kestrels would nest on the Beebee Station which was very close to the Kodak Tower. They would go after each other, back and forth. We called it Kestrel runs. Hopefully this will all end peacefully. Many of the Watchers gathered very early Sunday morning on the Court St Bridge. Dan, Jeanne, Joyce, Larry O, Dana, Zaph and me, Carol P. We pretty much had the city to ourselves at that early hour. Every one of us were very happy to be there! 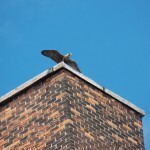 After doing some flying around the jail tower, the juvies and Beauty flew over us heading towards the tall buildings. 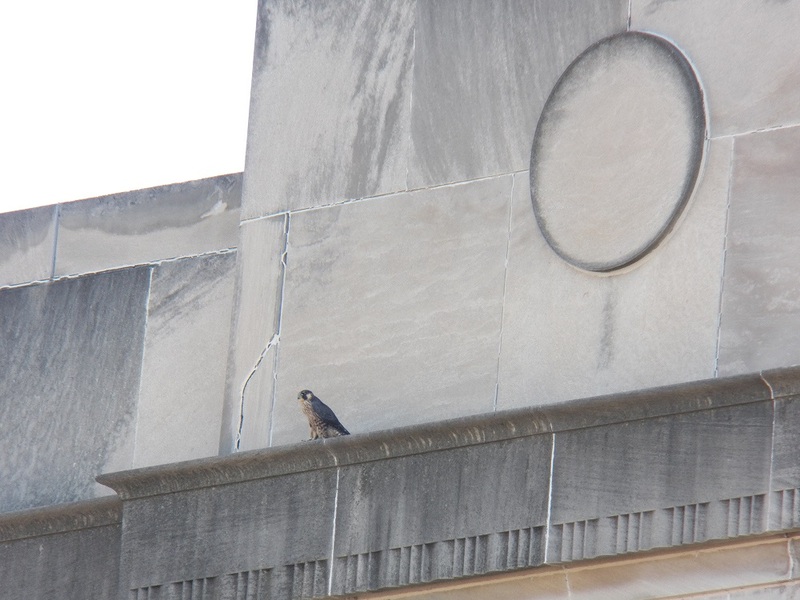 For the next couple hours, we were thrilled to watch them all chase each other and talon tag high above Xerox, B&L and the Chase Lincoln Tower. These buildings all have new names, but I still think of them by there old names. 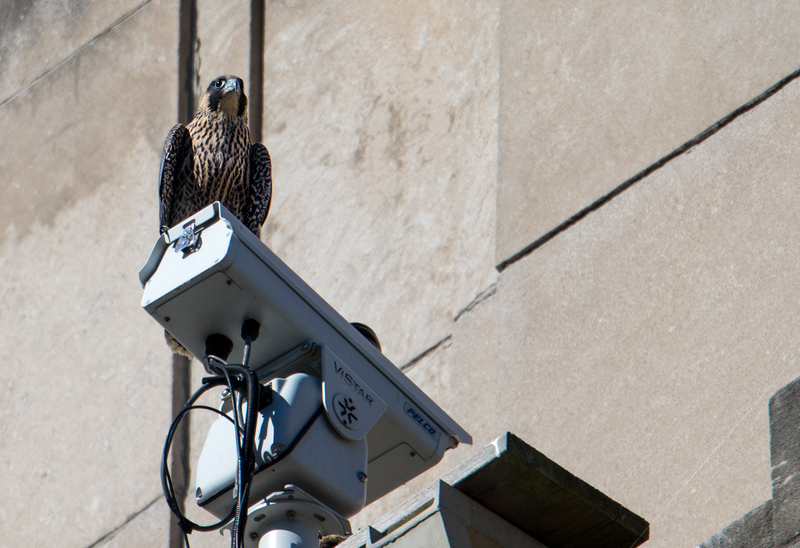 When the temps started to near 90 degrees, both the falcons and their watchers headed for shade. 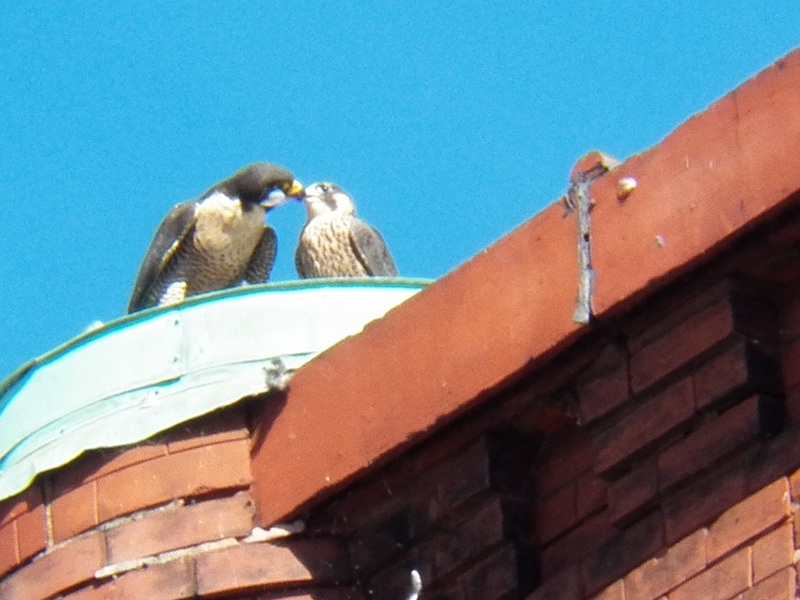 It was so much fun watching these young falcons stretch their wings under the watchful eye of their mother, Beauty! Some good news! Sunday evening Dana and I checked out Seneca Towers where one juvie had been seen. 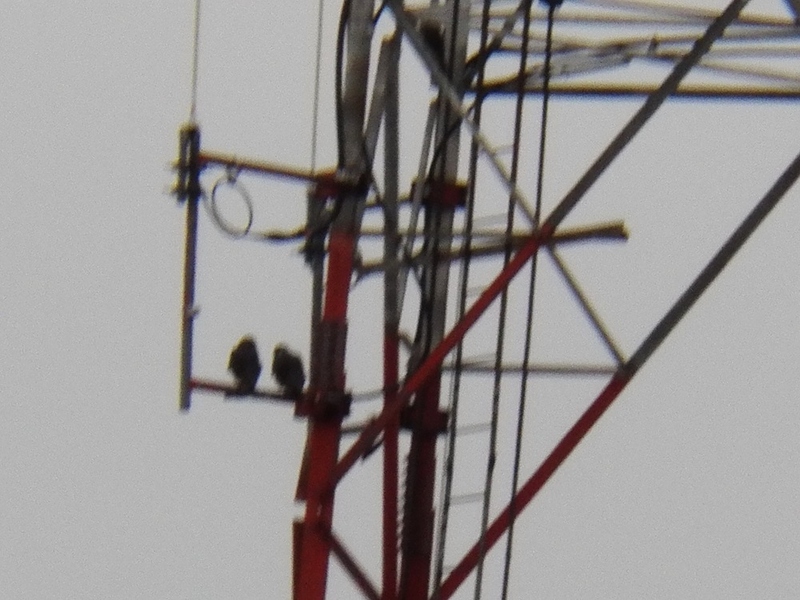 We were happy to see two young falcons there. Congrats Billie and Seth! 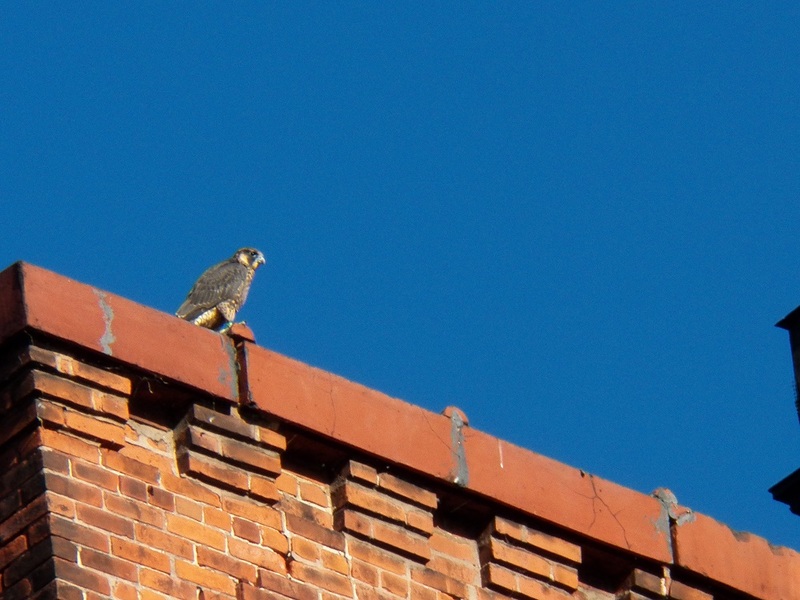 It was a gorgeous day to watch falcons! Sunny with temps in the 70’s. Although it was very chilly when I met fellow watchers Dan, Joyce and Larry O at 6:00 am on the Court St Bridge. I had wanted to get out for an early watch and this was the perfect day to do it! 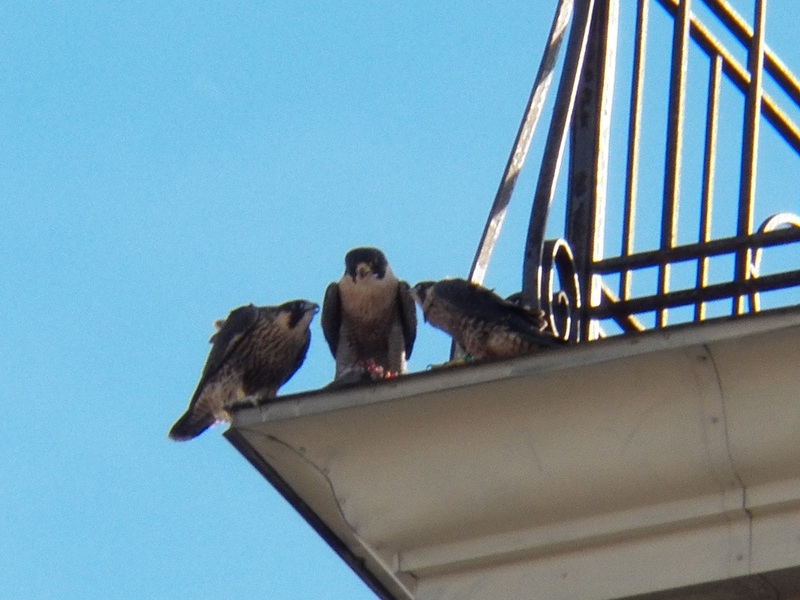 We were all thrilled to see all four juvies; Lilac, Leo, Matilda and Aria flying so well. 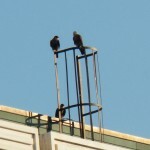 They stayed mostly over and on the jail communication tower and the Hall of Justice. Both Beauty and Dot.ca were in hunt mode, but we did not see them catch anything. My evening watch started a little after 6pm. 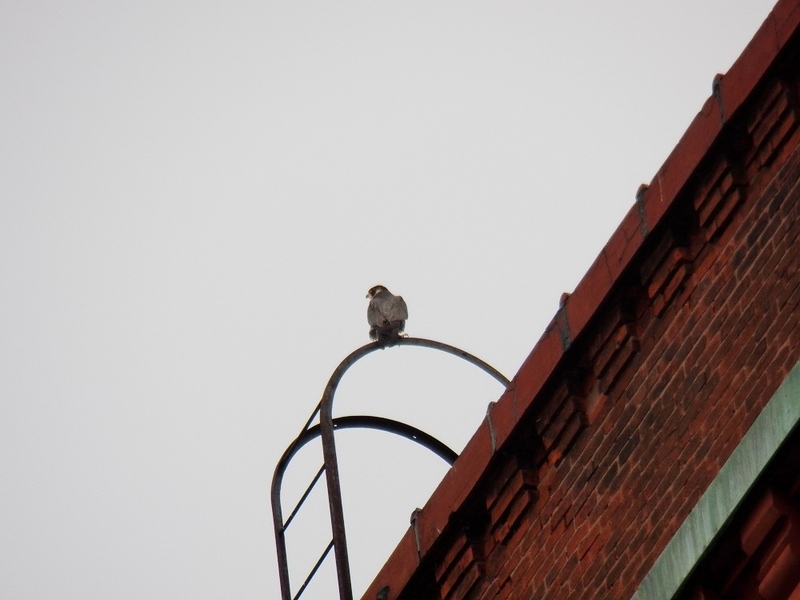 When I arrived on Aqueduct St aka the hole, I could hear a juvie vocalizing. I found one on Mercury. It took off and flew towards OCSR. 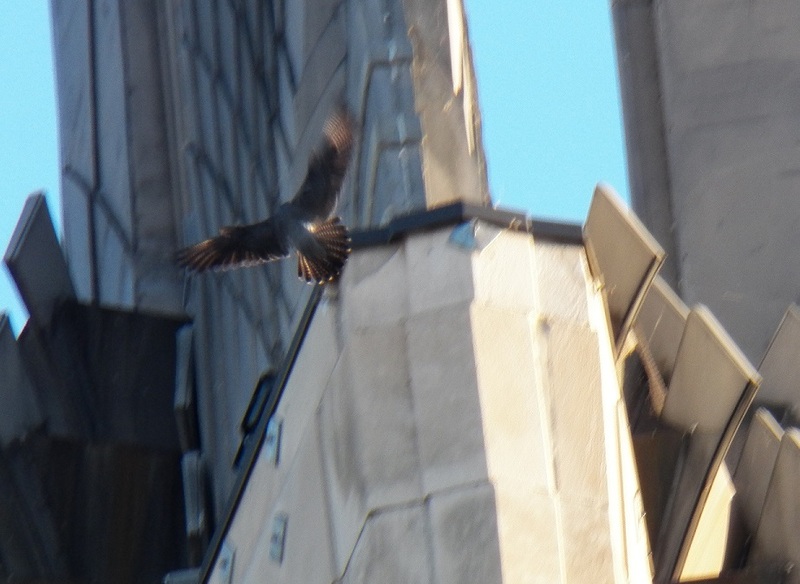 Turned and headed back towards the TSB where a 2nd juvie joined it, then a 3rd! 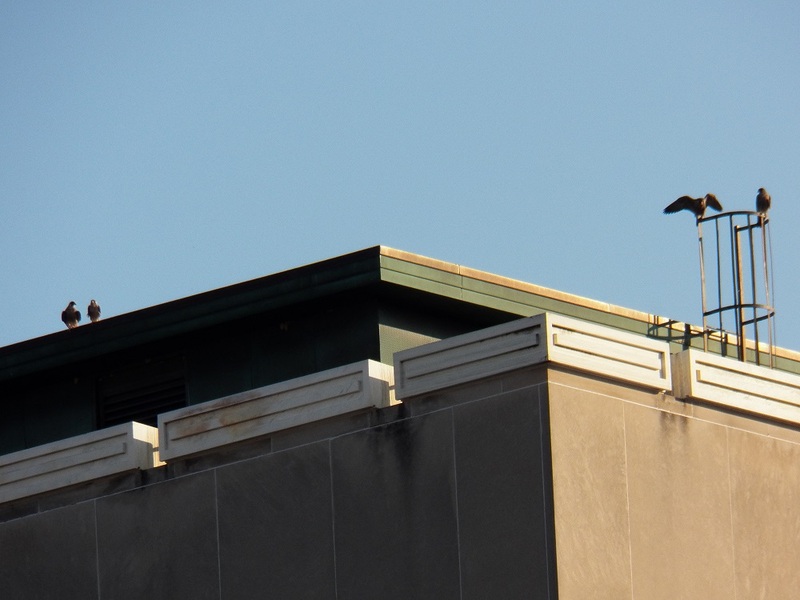 They all ended up landing on the Hall of Justice roof. I could see wings flapping now and then. It looked like they may have been eating. I was soon joined by Kathy O, Jeanne, Joyce and Carla. We set up our chairs at the south end of the hole. From there we could see the jail communication tower, the Hall of Justice, the Times Square bldg, the Wilder bldg and OCSR. 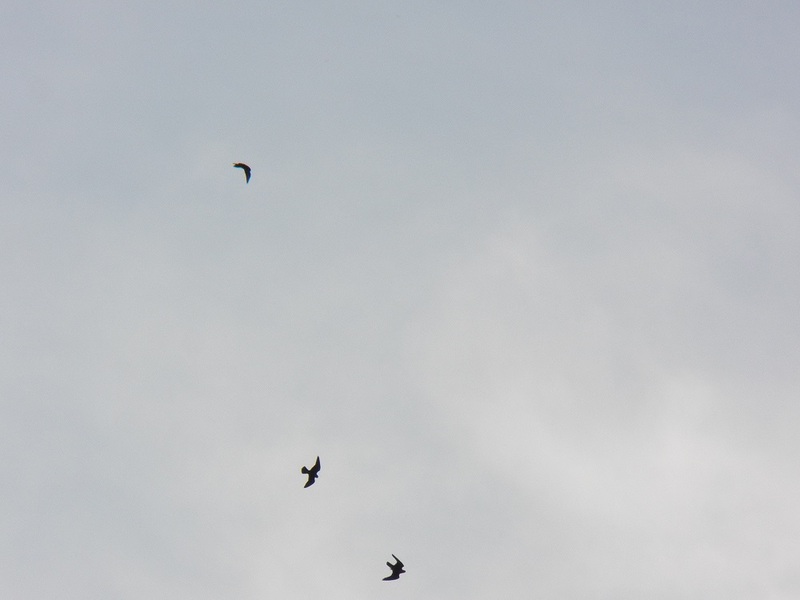 For three hours we saw a lot of flying by all four juvies and Beauty & Dot.ca. 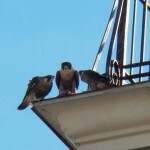 At 9:00 pm, all 4 moved to Widow’s Walk, then 3 flew to the base of Mercury. Beauty had landed on camera #1. I had to end my watch. 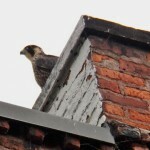 When I got home, I checked the Rfalconcam live streaming video. 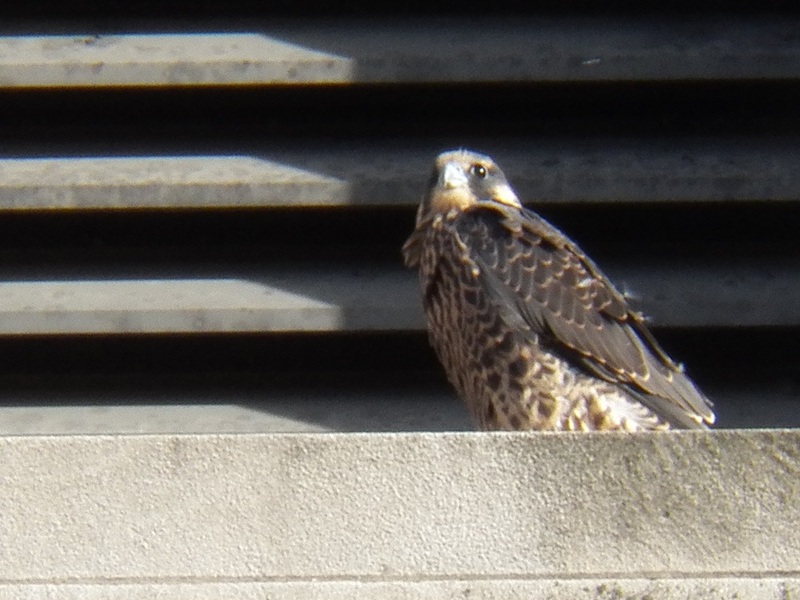 At least two of the juvies had returned to the nest box. These four are inseparable! I am so happy they are staying together. It was a much cooler day today with temps in the 70’s. Our four juvies are keeping close to home and each other. They are a tight knit group. The watchers haven’t had to go looking for them too much. 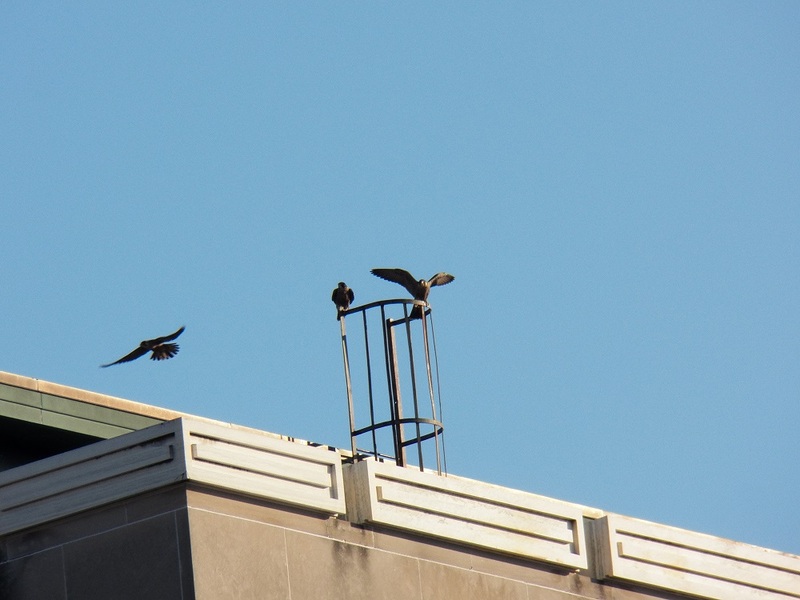 Again, they ended up gathering on the Widow’s Walk. 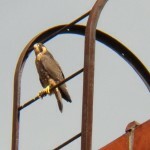 For most of the evening watch we had all 6 Rochester Falcons in sight. I am really enjoying watching this group interact with each other and their parents, Beauty and Dot.ca. It will be interesting to see them start to spread out. 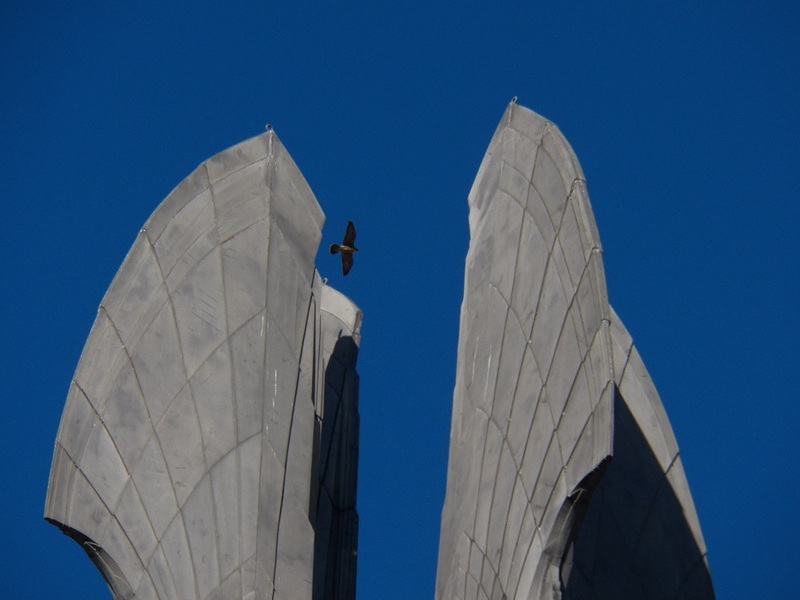 Today’s watchers were Dan, Larry, Pat, Debbie H, Carla, Joyce, Dana, Lisa and me, Carol P.
I wanted to share some outstanding pictures taken by our newest Falcon Watcher Zaph during the fledge watch! Enjoy!!! <—– Juvie on Main Camera! 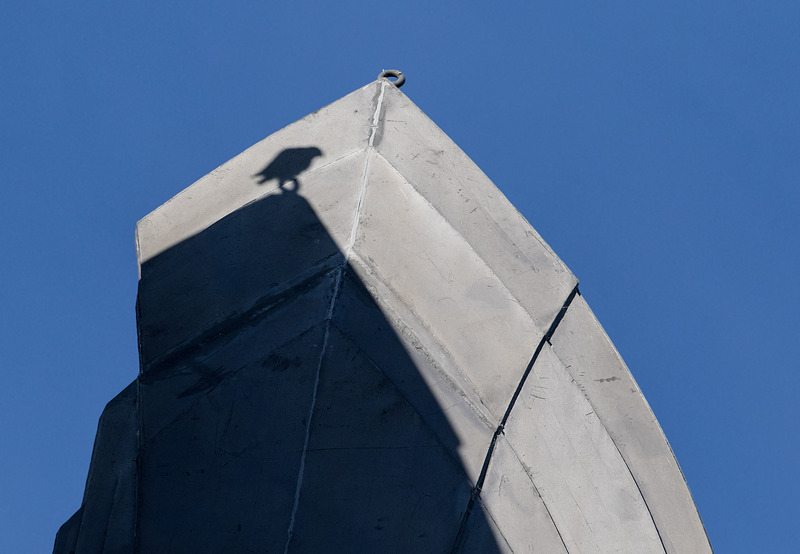 <—– Shadow of a Peregrine Falcon on the Times Square Bldg Wing! 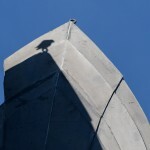 <—– Shadow of a Peregrine Falcon! Finally, a break in the heat wave that had hit Rochester over this past week. 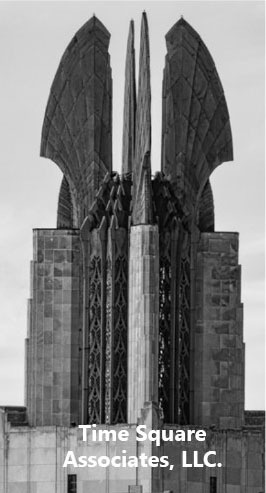 Mid 70’s were very welcome to all the watchers and the falcons. 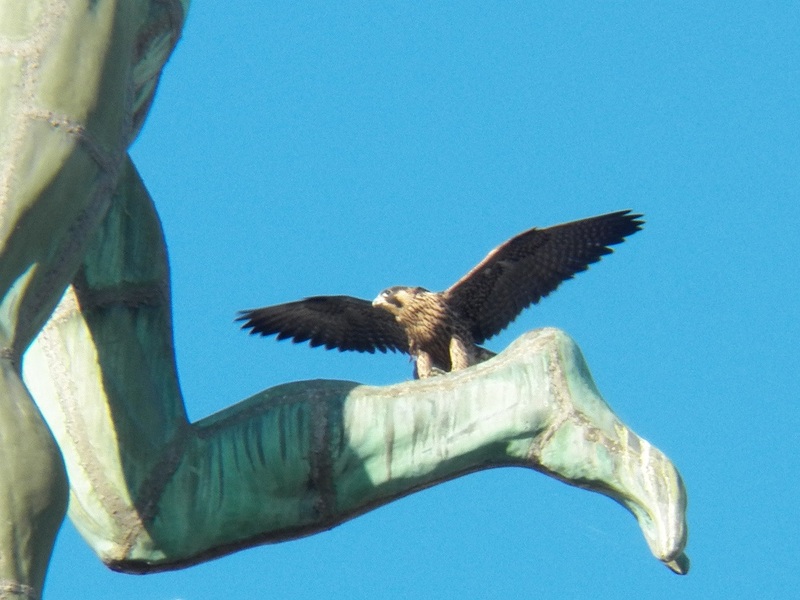 The juvies spent much of the day on the Times Square bldg and near the nest box. There was some talon tagging and chasing during the day. It was pretty much uneventful during the late morning hours. 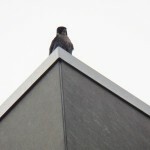 I returned at 6 pm for my evening watch. Talk about good timing. 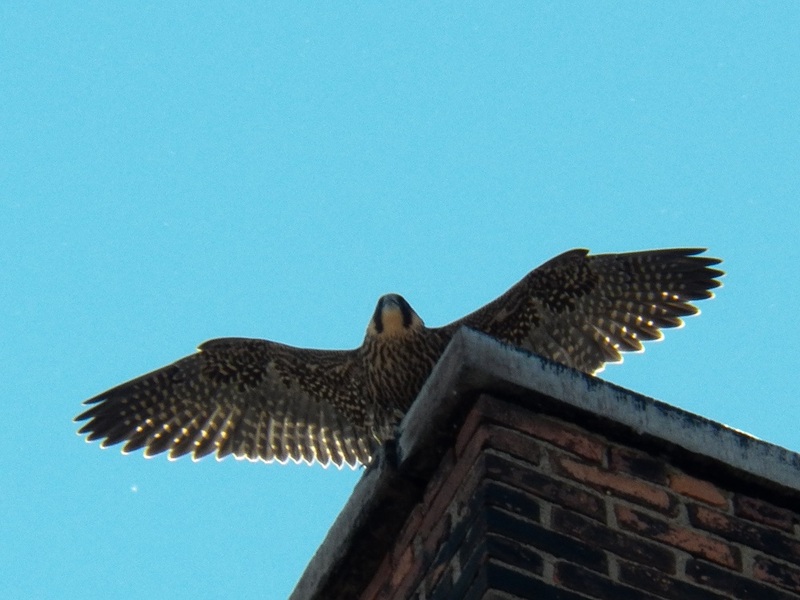 As I was driving down Broad St, passing Irving Place, Beauty flew over me carrying food with three juvies chasing her, screaming. 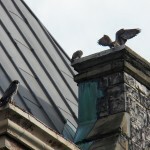 They all landed on the Widow’s Walk (WW). One of the juvie’s grabbed the prey and feathers were soon flying. The 4th juvie flew in and they all ate their fill with Beauty supervising. 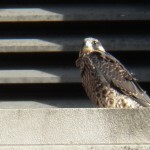 I joined my fellow watchers in the hole where we could see all 4 juvies on WW. At one point, both Beauty and Dot.ca met at the nearby Powers bldg. There was a lot of flying by all 4 juvies as the sun was setting. 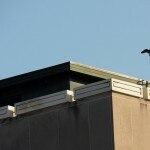 Aria landed on the east side ledge on the Times Square bldg above the nest box. She jumped up on the light located there when it turned on. Every time she spread her wings, she looked like an angel, lit up by the white light below her. Just beautiful! It was a wonderful way to end our evening watch. Watchers today were Dan, Larry, Kathy O, Joyce, Carla, Lisa, Pat, Lynda, Tim, Aaron, Dana, Lou, Jeanne and me Carol P! 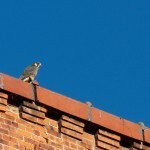 Thanks again to Donna and Ei for keeping us informed of the falcons movements throughout the day. Thanks for your help also Annette! One more hot and humid day before we get a break from the heat tomorrow. Mid 90s today to 70s tomorrow. I am so looking forward to the lower temps. 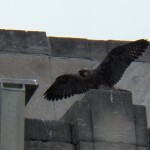 There was a lot of flying by our 4 juvies before it got too hot. 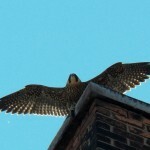 Beauty was giving high altitude flying lessons to one juvie. 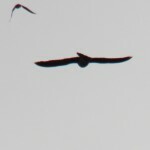 She effortlessly circled higher and higher with barely any wing movement. The juvie attempted to keep up with her vocalizing loudly. Based on size, I believe it was Leo. 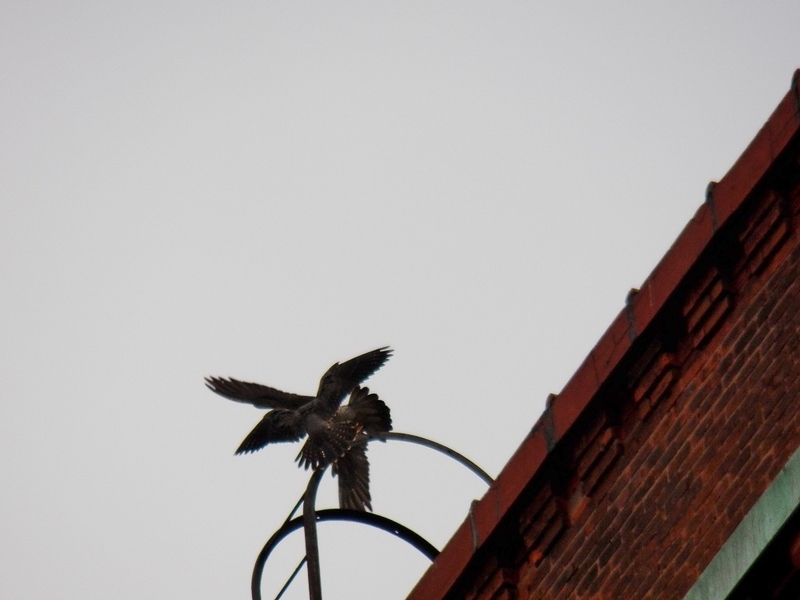 He finally gave up and flew down to find one of his sisters. Leo and one of the girls chased each other and talon tagging across the sky. DC watched them from the west corner of OCSR. 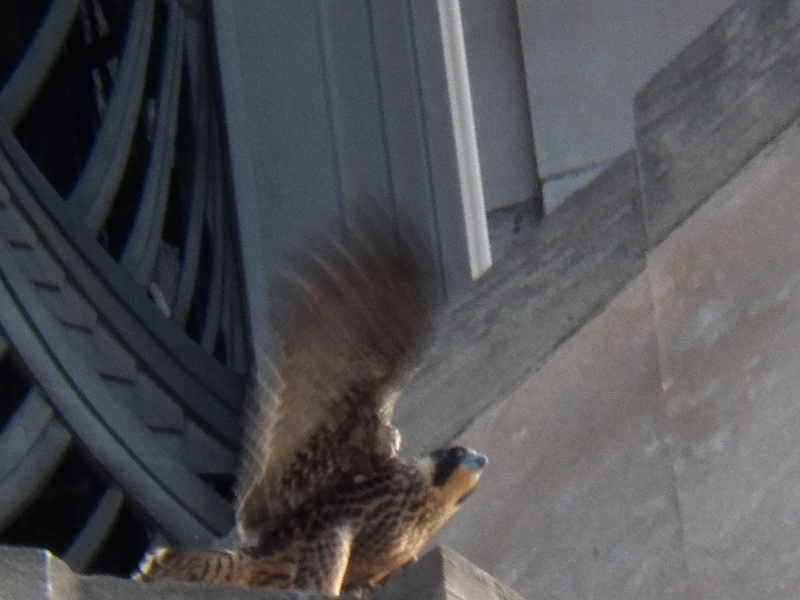 Leo landed under the NE wing on the Times Square bldg and the girl landed on the Cross Rds bldg. I ended my watch at 11:30 am when they all settled down in the shade. Lisa, Joyce, Brian and Jeanne are downtown this evening on watch. Both Leo and Aria were at the nest box. 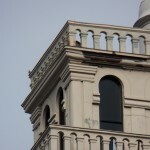 The other two were on the ledge below. Beauty brought in a pigeon and the chase was on! Beauty brought the meal to Irving Place, where the Widow’s Walk is located. 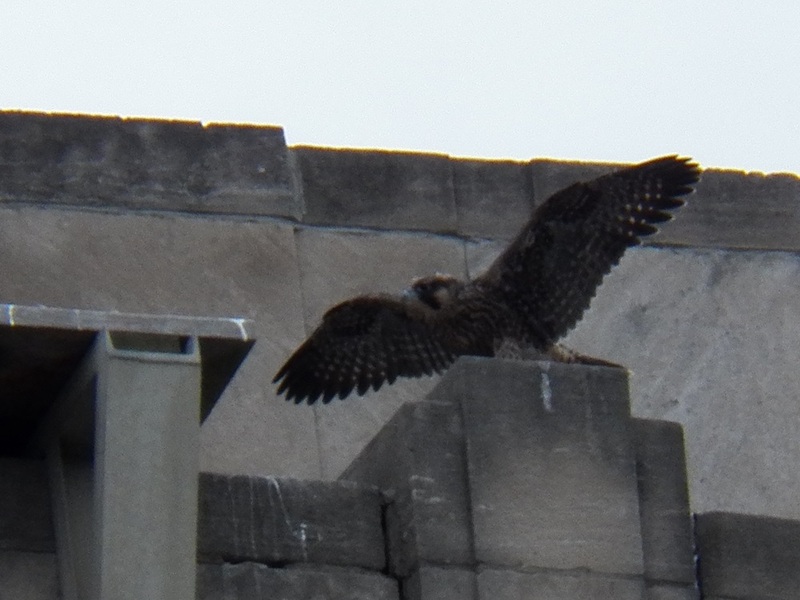 Pat had all 4 juvies located this afternoon. 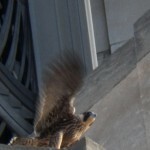 Larry and Dan were out early this morning and reported that Beauty fed the juvies on the Rochester Public Library. 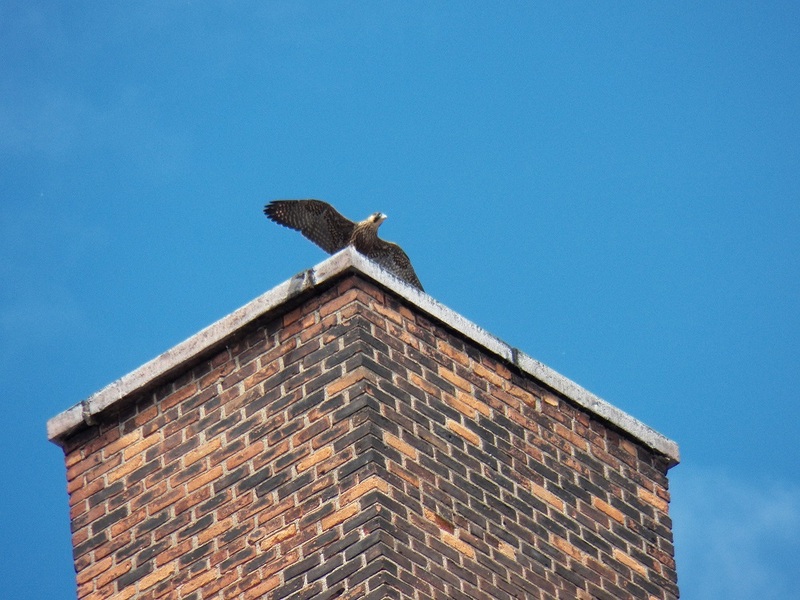 Special thanks to Donna for tracking our young juvies and reporting their whereabouts. Your help is much appreciated! 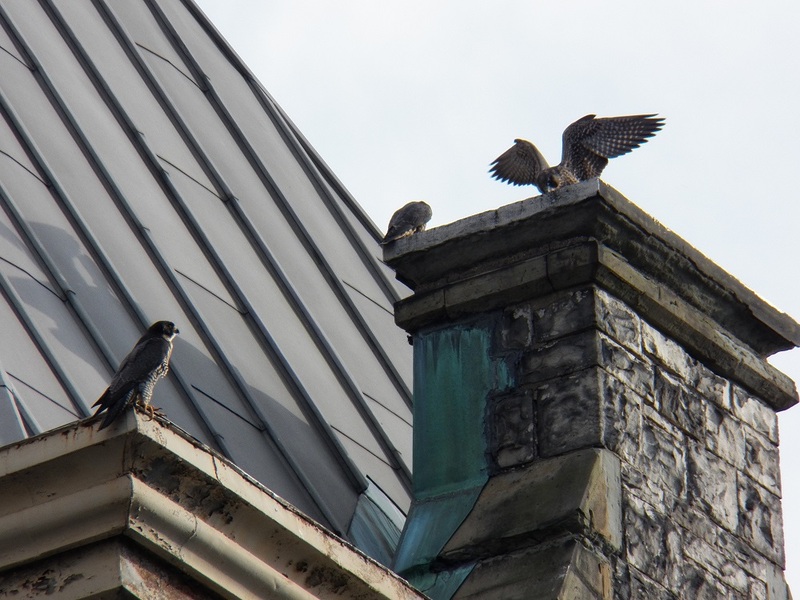 Just another busy day in the life of the Rochester Falcons! Watchers: Dan, Larry, Dana, Kathy O, Lisa, Joyce, Carol Lukka, Linda Braveheart, Aaron, Carla, Jeanne and me Carol P.
This is a report of two watches. Morning watch and Evening watch. The heat during the middle of the day was intolerable with temps in the low 90s. 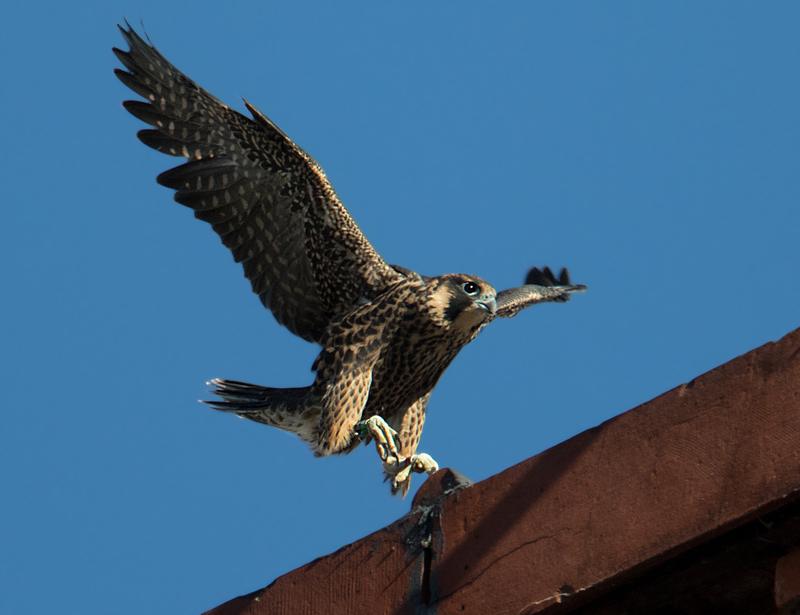 During the morning hours, all 4 juvies were on the Widow’s Walk. 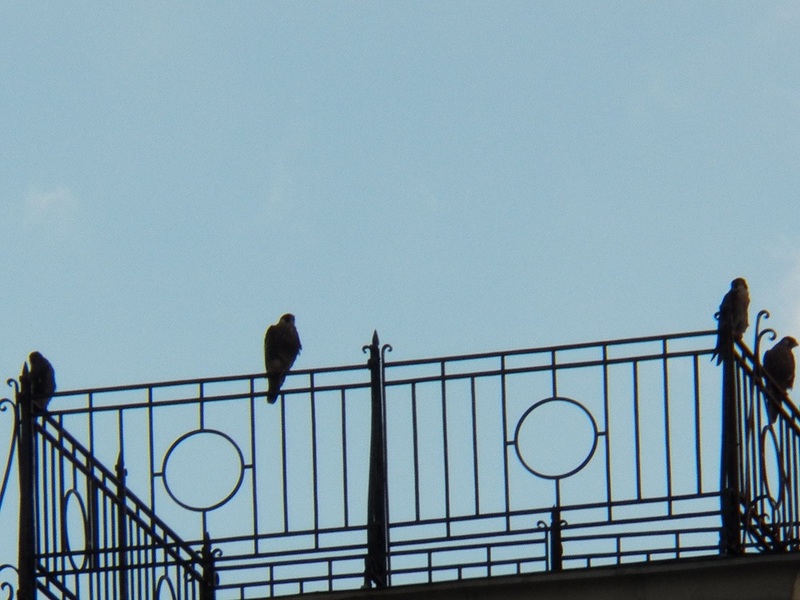 The highlight of the watch was seeing one of them take off and chase a small bird. It was the first witnessed attempted hunt by one of them. We thought it was probably Leo. When I returned for my evening watch, I was able to find shade and a beautiful breeze. For the first hour, there wasn’t much activity. I believe they were all on the Times Square bldg in the shade. When it cooled down to 88, the juvies became more active. 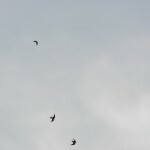 There was lots of flying and chasing. 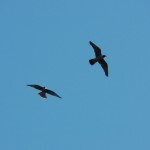 They have started to talon tag with each other. So much fun to watch. Lilac landed on Mercury’s leg. One flew over the river practicing shallow stoops. Oh the wonderful chases! At the end of the evening, Beauty brought in a pigeon which was big enough to feed the whole family. After eating, they all headed back to the Times Square bldg. It was time to sleep! Tomorrow will be even warmer than today. Keep cool everyone!